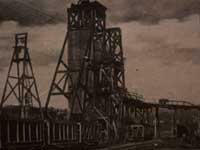 The development of the settlement of Caspian is closely related to the expansion of the mining industry on the west side of Iron County after the turn of the century, when the effects of the Panic of 1893, had subsided. For the most part, exploration was concentrated in the Iron River valley southeast of the settlements of Iron River and Stambaugh. In the first decade of the twentieth century, five mines opened in the area that was later incorporated as the Village of Caspian: the Baltic in 1900, the Caspian in 1903, the Young's in 1904, the Fogarty in 1907, and the Berkshire in 1908. A sixth mine, the Buck , opened in 1922. 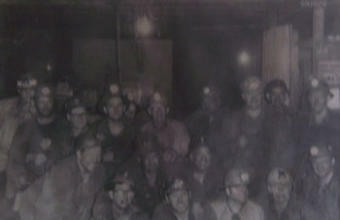 The development of each new mine brought more miners to the area, where no previous housing existed. 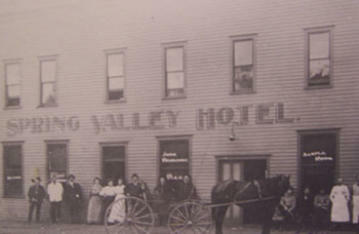 Thus, the mining companies constructed housing for their employees, beginning in 1904. The practice of building company housing continued in Caspian until 1929. A small business center soon developed to serve the mining locations; in 1908 this consisted of two grocery stores, two hotels, a livery stable, a saloon, a shoemaker's shop, and a post office established that year. Two plats of 40 acre tracts near this business center were registered, one in 1908 and a second, by the Caspian Realty Company, 1909. The first plat was variously referred to as Palatka, Spring Valley, or old Caspian, and the second plat was known as new Caspian; however, by 1913, the entire settlement took the name of Caspian, after the most productive mine in the area. By 1917, the population of Caspian had reached 1,860. Agitation for the formation of a separate village government resulted in Caspian being incorporated as a village on April 8, 1918. A variety of municipal improvements were soon inaugurated, including the installation of a village water system in 1919, the construction of a village hall in 1923, and the completion of a village sewer system in 1926. City incorporation took place on April 8, 1950. The ethnic background of Caspian has always been predominately Italian: the first settlers in the area were the Fedrizzis and Tessadri, and these were followed by a number of other Italian families. The strength of the Italian cultural heritage is evident by the proportionately large fraternal order of the Duca Degli Abruzzi, founded in 1909. However, a variety of other ethnic and cultural groups are represented in the community, including Croatians, Finns, Poles, and more than a dozen other nationalities. In spite of this broad ethnic make-up, Caspian is a cohesive settlement, whose citizens have developed a strong sense of community. This has been encouraged in part by the thriving shortly before 1920, and still active today. Caspian in its heyday, with six productive mines in operation, was a bustling mining village, connected from 1914 to 1921 by streetcar lines with Iron River and Stambaugh to the northwest and Gaastra to the southeast. Caspian was incorporated as a city with a commission-manager of government in 1950. As with all of Iron County's west side settlements, Caspian declined after the closing of the mines. Today, it is a quiet community, closely linked to Iron River for employment, goods and services.